The top exhibition rose in the U.S. for a decade, First Prize lived up to its name by setting the standard for high-centered classical form. Its huge pointed buds spiral open like a fine ballerina in a costume of shimmering pinks. The large flowers are carried on stout long stems with tough leaves. 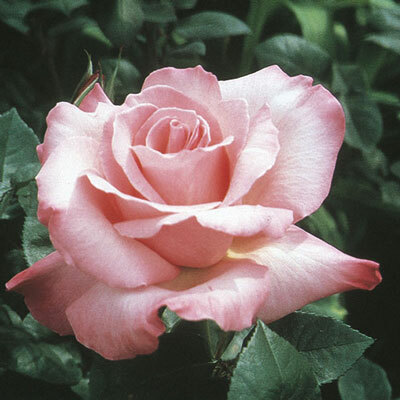 Established plants give best bloom in the spring.